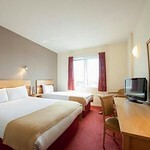 1 mile from Nottingham rail station and 13 miles from East Midlands Airport. 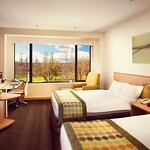 Crown Plaza is a ideal place to stay for all types of groups. 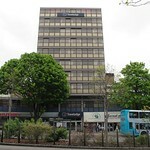 A great hotel which is ideally situated on Station Street in the heart of the city centre. Popular with groups at weekends. Ideal for stag & hen! Whether you’re looking for budget or boutique accommodation, Nottingham will never let you down as it has some of the best hen friendly hotels that guarantee comfortable stay and central location. Group accommodation planing is a different ball game altogether and if you think you are not good at working out figures and penny pinching deals, leave this task to us. We know some of the best possible options for the hen groups where they get a safe place to put their heads down without having to muffle their midnight hen party shrieks and shouts . It is always better to be near the city centre, where all the night life, pubs and clubs are located. With more than 300 places to eat and drink in Nottingham city centre alone, there is something for every palate. From Michelin starred Restaurants to Indian and Italian outlets the dining options are excitingly different. Large groups will find the hostel or dorm accommodation cheaper. Self catering is a popular choice too if you do not want to miss the homely feel and the goodness of homely meals. If you are hard pressed for time, you can opt for some meals deals to get over the hum drum of cooking while on your party weekend. Set in their own grounds, cottages and apartments are spacious and well cut for the noisy late night booze binge sessions, games and hen party frolic. Mid range hotels like Crown Plaza suit most tastes and budgets and the best part is that it sits pretty right at the city centre. Make sure that you have all the transfer deals and VIP club passes in place to make sure that you are not caught at the tail end of the winding queue when you should be at the dance floor! Nottingham is synonymous with Sherwood forest and Robin hood and it will be fun to stay put near the woods. With convenient transfer deals and party bus options, it is always easy to reach the city centre and activity locations. Nottingham is famous for its crowded weekends . So plan early, call now and avoid disappointment.